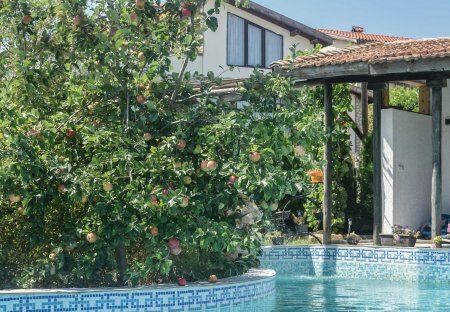 Rent villas in Osenovo, Bulgaria with private pools. This house is located on coast of the Black Sea, located between the villages Kranevo and Osenovo, 6 km. from the Golden Sands resort and 18 km from Varna.